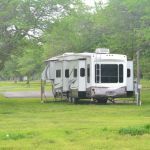 Ask fellow campers about "We RV Champions of Tyler (formerly RV Parks R us)" and nearby attractions. Simple no-frills park 5 miles west of Tyler. Close to WalMart and fast food. Converted trailer park = nice BIG/long spacious sites. Premium sites include better pads, privacy fencing, and premium WiFi. Friendly management and workcampers. Reason I only gave it a 7 is because it's pretty bare-bones but has potential to be much more. Beware - anything heavy will sink in some spots if there's been a lot of rain. If you're driving a big rig like us (45' 5th wheel pulled by a semi) ask for spot #22 or 19 where you can back straight in, and the gravel pads are deep & long. Most gravel and asphalt pads in the first row is very thin. $1.50 per load for large-capacity W/D. Water pressure was low but not horrible. Interior road is gravel and a bit rutted but nice & wide, no trees. The only 2 pullthrough spots are difficult to access as they are at a 90-degree to road and are narrow. We loved site #22! 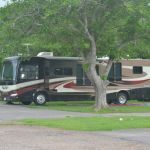 We camped at We RV Champions of Tyler (formerly RV Parks R us) in a Fifth Wheel. 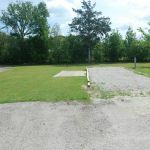 Nice quiet Park, nice wide gravel backin spots with concrete patio, Awsome Staff and super Wi-Fi that has recently been updated, pet friendly large area for walking our dog. We camped at We RV Champions of Tyler (formerly RV Parks R us) in a Fifth Wheel. Close to shopping centers in Tyler, 20 minutes from Canton's Trades Days, also a few minutes from Lake Palestine. Mostly residential occupants. One restroom with shower and toilet. Washer and dryers reasonable. No other services in campground. Only backup sites. No picnic table. Few sites had shade. 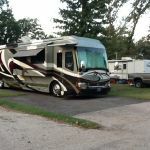 We camped at We RV Champions of Tyler (formerly RV Parks R us) in a Fifth Wheel. The weekend help was all but. The lady was loud. The laundry room trash hadn't been dumped. The shower had hair in it. Lint filters were full. The managers were nice. The man was very helpful in helping us get set up, and the lady was very nice. They told us about some great places to eat. We camped at We RV Champions of Tyler (formerly RV Parks R us) in a Fifth Wheel. The park was recently acquired by a new owner. I found the park to offer even more niceties than anticipated. Though we arrived later in the day (causing a little anxiety) but discovered the staff would help me get setup. They made this easy! In no time, we were enjoying our spacious lot and amenities like wi-fi. I highly recommend the location, the condition of the park, and the employees. We camped at We RV Champions of Tyler (formerly RV Parks R us) in a Fifth Wheel. Very close to everything Tyler has to offer. Near hospital and airport. A friend and I stayed at this park. It was really convenient to everything but what we like most was the park like atmosphere. Lots of trees, lots of undeveloped grassy areas, strong wi-fi (essential) and clean restrooms and laundry. Too, the management was friendly but not nosy. I will stay there again! We camped at We RV Champions of Tyler (formerly RV Parks R us) in a Fifth Wheel. Park was OK for a short stay. Friendly staff. Unusually long set of rules requiring written acknowledgement. Site was long and level back-in. Lots of road noise even though we were not all that close to the roads. Also had some aircraft noise from the regional airport about 1 mile away. We camped at We RV Champions of Tyler (formerly RV Parks R us) in a Fifth Wheel. Very well managed. All the amenities. Park-like atmosphere. Very near everything. Will stay here again and often! Love it! 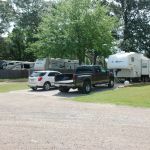 We camped at We RV Champions of Tyler (formerly RV Parks R us) in a Fifth Wheel. The wife and i stayed at this newly opened park in late Feb-12. We enjoyed our stay, these guys run a nice park. It was a great place for our dog. They have lots of room, remember always clean up after your pet. Safe travels to all. Also the managers were great people. They where helpful with anything we needed. We camped at We RV Champions of Tyler (formerly RV Parks R us) in a Fifth Wheel. If you are in Tyler, definitely go to Jucy's burgers! They are amazing and inexpensive with free baked beans and an updated soda machine for flavored sodas. They also serve tater tots! 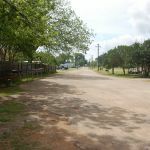 There are lots of fun things to do in the Tyler area. It is very pretty here! The zoo is fun. The rose garden is beautiful and you can see all the gowns from the Rose Festival queens. There are lots of area lakes for fishing and boating. If you can visit during the Azalea Festival during the spring, it will not disappoint! The historic areas of Tyler with all the azaleas in bloom delights all who come to visit! 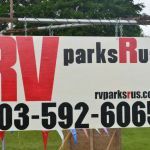 Are you affiliated with We RV Champions of Tyler (formerly RV Parks R us) ?